When we think of Massively Multiplayer Online Role Playing Games (MMORPGs), many famous titles come to mind. You may have thought of Ragnarok Online, Lineage, Final Fantasy and World of Warcraft. But the most popular MMORPGs usually require a really large hard disk space and a high powered graphics processor. Here is where games like Eldevin come in. 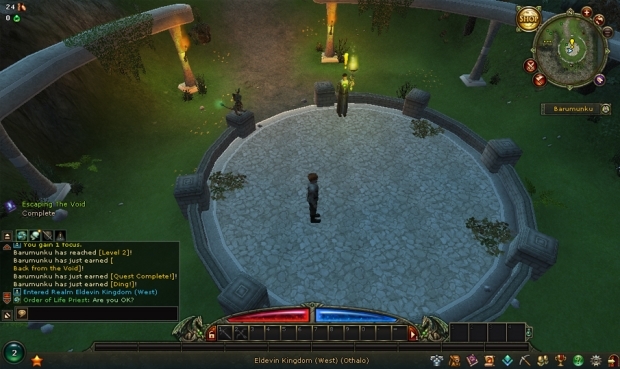 Eldevin is a free 3D browser-based MMORPG brought to you by Hunted Cow. The game is set in a medieval fantasy world full of swords and magic. The game to me is rather unassuming as it actually brings you a very rich storyline and a massive world to explore filled with hundreds of quests, dungeons, PVP and even crafting. 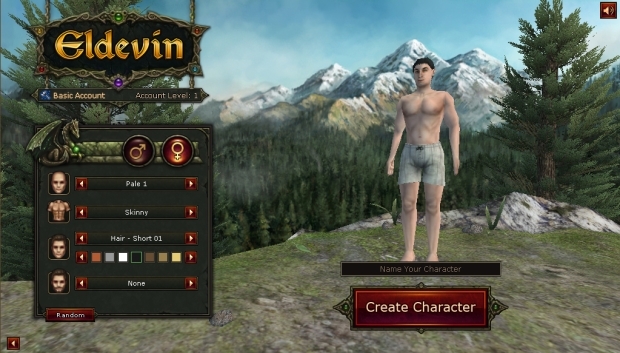 Interestingly enough, even for a browser-based game, it carries a lot of customizability even with character creation. It is also fairly easy to sign up as it is free-to-play and does not require you to wait for an invite to get into the game. 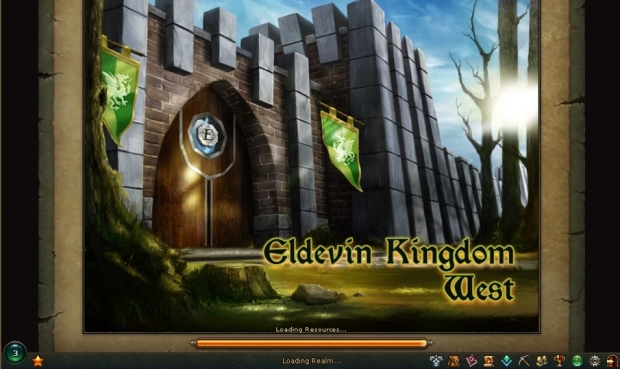 You simply need to go to the Eldevin website and you can start playing right away by signing up. You are even given the chance to sign up using your Facebook, Twitter and Google+ account which makes signing up easy as 1-2-3. Since the game is browser-based, it is pretty light so it does not require a lot from your gaming system. Please be advised that your browser is suggested to be updated, especially with the latest Java version, in order to play the game properly. Once in, you will be required to create your character right away. Interestingly enough, I found more options in customizing my character than what I have seen in previous browser-based games. You get to choose between male and female characters, their skin tone, body build, hair, hair color, and any facial hair. You can also click on Random to get a random character design. Once you’ve decided on a name, click on Create Character and the game immerses you into the world right away. Your character will be introduced to the Void; a world between worlds where time moves slowly and dangers lurking about. Exploring this world will give you more of a feel for the game and how it plays. The nice thing is that if you’ve played MMORPGs before, the game uses systems and designs that are familiar to MMORPG gamers such as quest icons and the use of an inventory. The game graphics are pretty solid I should say for something that runs only on the browser. However, don’t expect high level graphics from paid games such as WoW or Final Fantasy. But it’s good enough that it will keep you playing. It’s a bit of a throwback to early 90’s games such as Neverwinter Nights or even Diablo. My only gripe from this game is that it uses a top down view for the camera which unfortunately, I struggle with especially if I want to get a good view of my surroundings. The game introduces to you the equipment and combat system right away as you fight your way through the Void and go through a rip in the void that brings you back to your world, the land of Eldevin. Combat system is fairly straightforward for melee as you simply left click your target repeatedly to hack away at monsters. 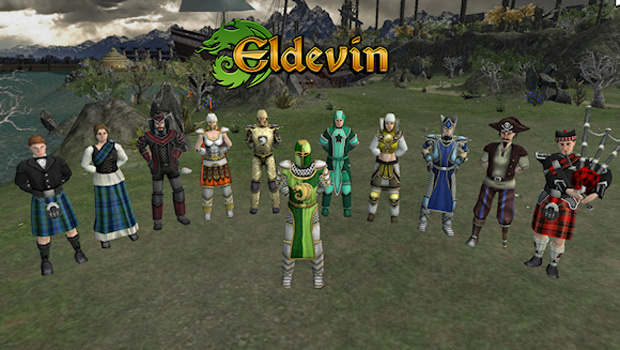 As you materialize back in the land of Eldevin, you get a better understanding of what is going on in-game. Story has it that 10 years ago, the King had disappeared through a rift and was brought to the Void. An ill-fated rescue mission went underway and many brave soldiers and magicians went to the Void to rescue the king. However, none of them ever returned. It is only through the valiant efforts of the rest of the kingdom, are they able to open a portal to the void and bring back a few stragglers. However, you find yourself not being able to remember this or anything from your past due to the effects the Void has had on you. To reintegrate you back to society, you are given trials to find out what skills you are good at. You will be given trials in melee, range, and magic. Melee is easy as you’ve already done that before. Range I found a bit trickier because you can’t just point and shoot since the default is melee combat. You’ll actually need to activate the range skill to attack a target. Then magic is probably is the easiest since it’s done with just the press of the button (it’s a healing spell). One interesting thing I found out about this game is that it does not limit you to a class. So it allows you to play around with your choice of skills to use when in combat. If you’re more of an in-your-face type of player, you’d probably choose more melee type attacks. If magic is more of your thing, you’d probably be more interested in using support and offensive spells in your repertoire. Or maybe you’d like to mix it up and use a little bit of all 3. It’s really up to you. It gives you great control on how you actually want to develop your character. I was surprised as well by the massiveness of the game world. The map is pretty huge, larger than what you would expect from your typical browser game. When I played Neverwinter Online, one of the things that kind of disappointed me was that the world map seemed rather small and not a lot to explore. 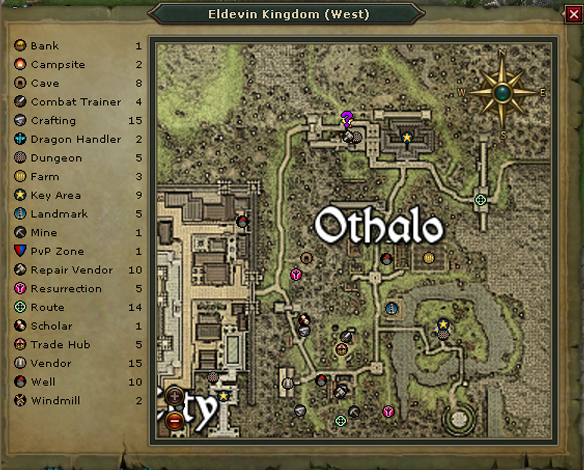 After a while, I lost interest because there weren’t a lot of places to explore and most of the maps were instanced. In Eldevin, the city maps alone are pretty huge and there are a lot of locations and dungeons to explore that will take a lot of time to go through. I think the highlight of this game is the rich storyline. There is so much to explore in terms of lore and story and the decisions you have made in the game influences how the story unfolds and what you will encounter in game. This makes the game very dynamic and allows for a lot of dimensions to its gameplay. I would say I have only scratched the surface of what can be done in this game and I plan to explore more and see what it has to offer. To be honest, I didn’t expect much from this game since it’s browser-based. However, the game has a lot of depth that even surpasses some of the popular mainstream games. It has solid graphics and boasts a 3D world. It also plays like some of the classic 90’s and early 2000’s games. Music and sound effects are pretty good and does not sound boring and repetitive which is the usual pitfall of a lot of browser-based games. Story seems pretty immersive for such a game and the strong selling point for me is that decisions made in-game influences what happens and what you encounter which makes it feel very dynamic. There is also an emphasis on strategy in this game rather than your standard hack and slash. My only real gripe about this game is its camera top down view but it’s not a big deal after you start playing for a few hours. Overall, this game is definitely worth the time to check out and play for a few hours as it has a little bit of something for everyone. It’s superior to most browser-based games I’ve encountered so far. You should give it a try and tell me what you think. 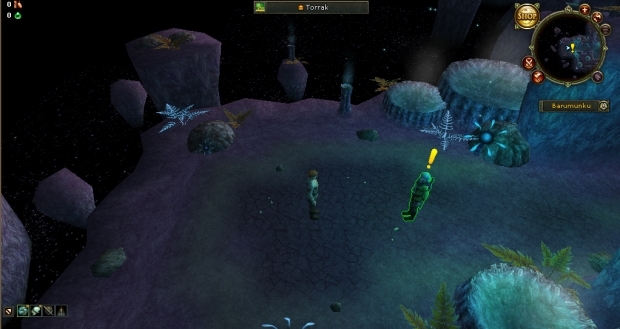 Crummy game copy of runescape.